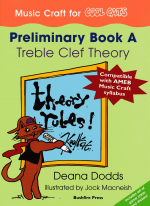 A Music Craft book by Deana Dodds. Suitable for older students, or those who have completed Beginner Books A and B. Instruments of orchestra; Italian terms. Please access the teacher notes and a copy of the worked solutions under the detailed description tab.